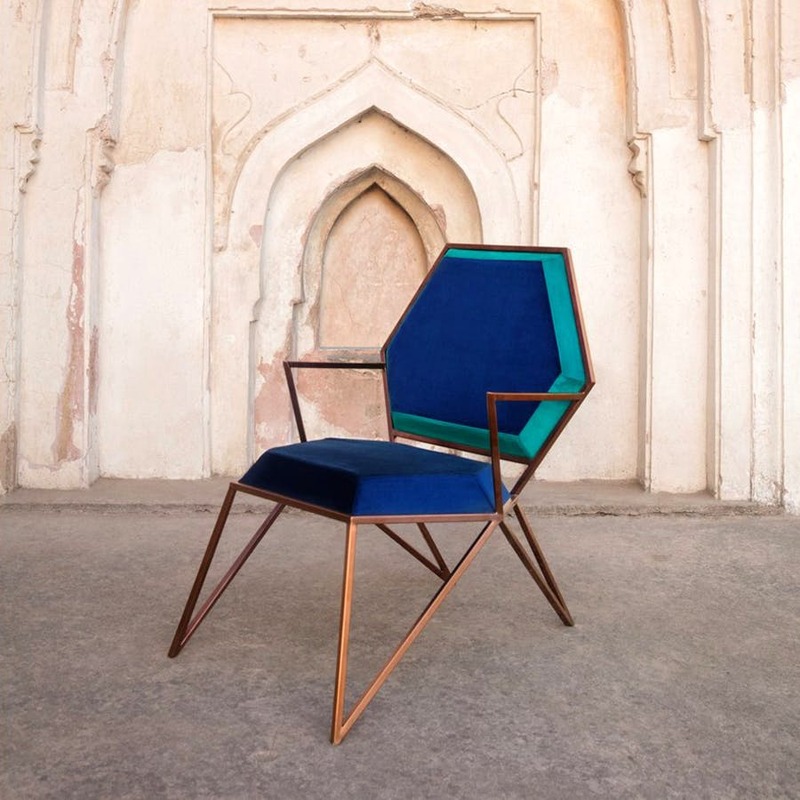 Metal, minimalist and Martian - Borderline Studio will jazz up your modern apartment or house with quirky furniture and decor pieces, using Indian processes and materials. Martian, indeed! Bridging that gap between art, object and functionality, Delhi-based Borderline Studio should be on your list of stores to check out for home decor and furniture. Made and crafted in India, using Indian techniques and material, the products you see, are not your traditional Indian ones. Think an angeethi, wine chiller and barbecue pit all in one. Yup, crafted out of copper, wood and stainless steel, Borderline calls this The Mothership. And mothership it is. You'll be the talk of the town when you throw your next brunch. Never mind that you'll have shelled out INR 1,25,000. With a minimalist design sensibility at the core, the sleek ashtray (called The Flaky Ashtray) is ideal for the lurking smokers in your verandah or terrace. As most of the products from this brand, The Flaky Ashtray too is versatile and can happily moonlight as a peg table. Oh, you want to get cosy with bae, or potential bae? These guys have just the thing - The Condescending Bench. By nature and not name, this stainless steel loveseat with strokes of red, green and black can be popped into a modern drawing room, or since it is weather proof, outside in your garden. Check out the single seater chair in blue and teal as well. Everything they currently have is part of The Martian collection, and the quirky designs match the name. Expect smaller options like trays and jugs to complement these to be on offer soon. Currently, they don't have many options at all. But they do customise to some degree and you can add upholstery to most seating products.